Veronica Gorgeois: Beauty Fact or Fiction: Do your pores really open and close? Beauty Fact or Fiction: Do your pores really open and close? 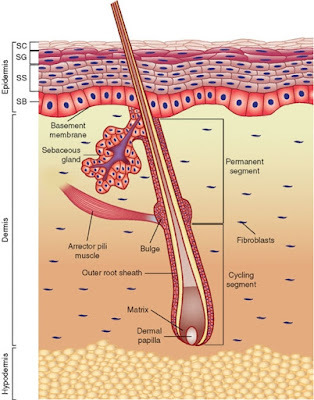 Can your pores (aka follicles) open and close the way you've heard? Watch to find out! Beauty fact or fiction: Is there a difference between "men's" and "women's" skin care? Beauty fact or fiction: Do you really need to wash your face twice a day? Beauty Fact or Fiction: Does a tingling or cooling sensation mean a product is "working"? Beauty fact or fiction: Does your skin need to breathe? Hi! I love hearing your opinions on anything beauty/health related. There are very few estheticians with a real presence online that people can trust, and you are one of them. Thank you for using science to back up your opinions! I was just researching the longterm effects of sugar on the skin, and would love to hear your opinion on the subject, especially about glycation & the degeneration of collagen. This would be a great topic to cover in one of your videos. I want to hear your thoughts!